A mayor's inspirational story of a Midwest city that has become nothing less than a blueprint for the future of American renewal. 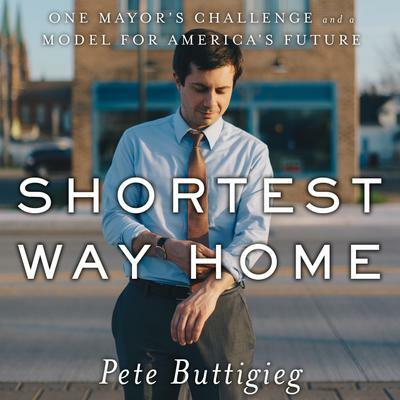 Once described by the Washington Post as "the most interesting mayor you've never heard of," Pete Buttigieg, the thirty-six-year-old Democratic mayor of South Bend, Indiana, has improbably emerged as one of the nation's most visionary politicians. First elected in 2011, Buttigieg left a successful business career to move back to his hometown, previously tagged by Newsweek as a "dying city," because the industrial Midwest beckoned as a challenge to the McKinsey-trained Harvard graduate. Whether meeting with city residents on middle-school basketball courts, reclaiming abandoned houses, confronting gun violence, or attracting high-tech industry, Buttigieg has transformed South Bend into a shining model of urban reinvention. While Washington reels with scandal, Shortest Way Home interweaves two once-unthinkable success stories: that of an Afghanistan veteran who came out and found love and acceptance, all while in office, and that of a Rust Belt city so thoroughly transformed that it shatters the way we view America's so-called flyover country.